Numerous manufacturers of smartphones either launched or demonstrated prototypes of their 5G handsets at this year's Mobile World Congress. 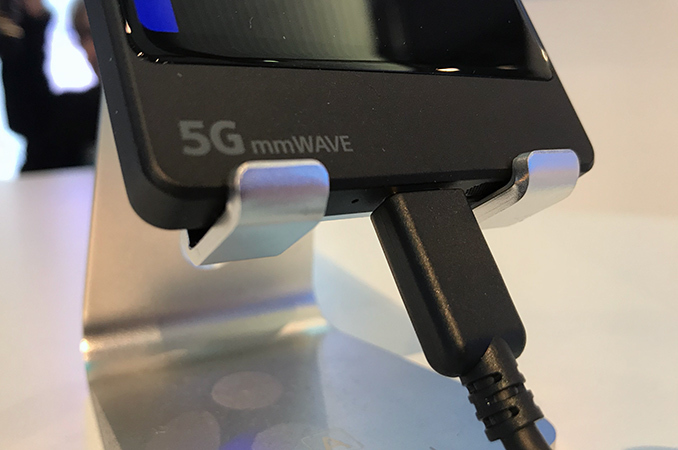 While many of the handsets shown off supported sub-6GHz 5G capabilities, they omitted mmWave functionality since most western carriers are not going to support the feature in 2019. 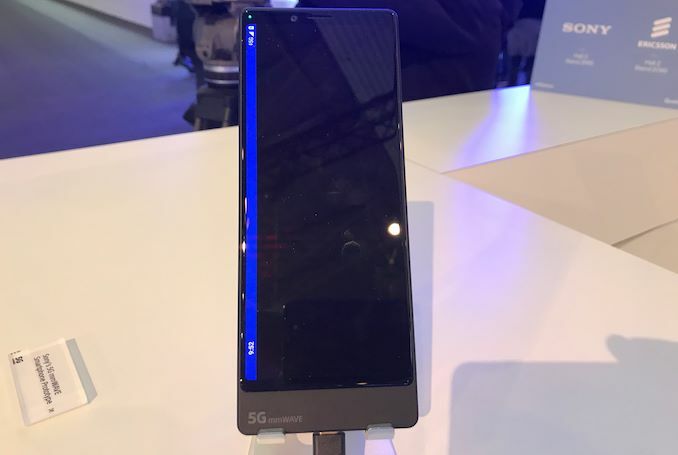 By contrast, Sony spent this year's event showing off a prototype of a 5G smartphone that does support mmWave. 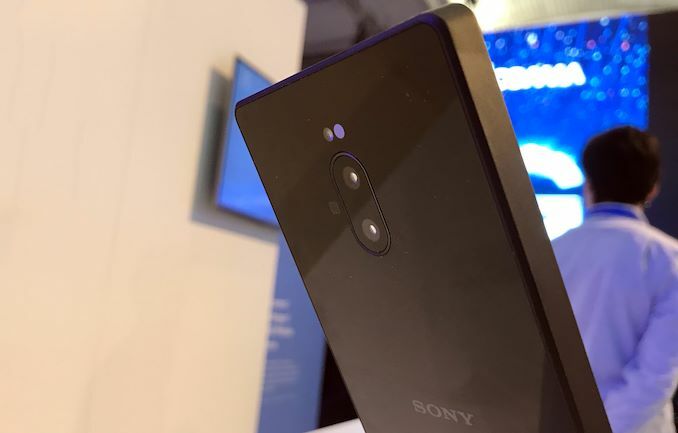 And with Japan’s NTT Docomo set to to roll-out support for the technology this year, Sony has a prime opportunity to be one of the first 5G mmWave phone vendors in their home market. Like other mmWave-capable devices shown off at the show, Sony’s prototype 5G smartphone is based on Qualcomm’s Snapdragon X50 modem, which for technical reasons has to be paired with their 855 application processor. The handset features Sony’s signature design with sharp edges, with one of Sony’s trendy 21:9 aspect ratio OLED display underneath. Meanwhile, since the phone incorporates a number of specialized mmWave antennas, the handset is fairly sizable: it looks to be even longer than the recently introduced Xperia X1, and it's pretty thick as well. The prototype smartphone has a dual-module camera with Zeiss optics and two LED flashes on the back. There is also a selfie camera on the front. Though it should be noted that since we are talking about a prototype, the commercial version may get different/upgraded imaging capabilities. As for physical connectivity, the handset has a USB Type-C port for data transfers as well as charging. 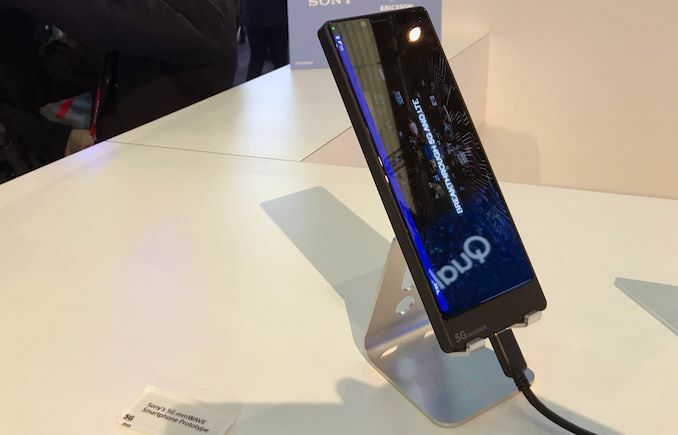 Sony did not say when it plans to release its Xperia 5G smartphones, but since the prototype is powered by Qualcomm’s modern platform it is safe to say that the company is inclined to launch it commercially sooner rather than later. Keeping in mind that NTT Docomo will be supporting mmWave bands this year, it is likely that Sony’s roll-out plans will depend on just how well NTT Docomo's deployment goes, at least to a certain degree. Ya, would be nice if they shrunk down the length by an inch. I'd go for it then. I like the overall design though. No camera bump and fairly square. I prefer the old Xperia Z5 or older shape. I have a Xperia XZ1 now and I don't like the rounded edges. Some ppl tether their phones to their computers. I did that a lot when I was living out of hotels for work. Any speed increase is welcomed. I NEED 5G ... for chest thumping. How am I supposed to demonstrate my mobile communications superiority with an outdated 4G phone? While I'm at it, it needs to double as a TV ..., but still fit comfortably in my somewhat shallow pockets when I need it to.